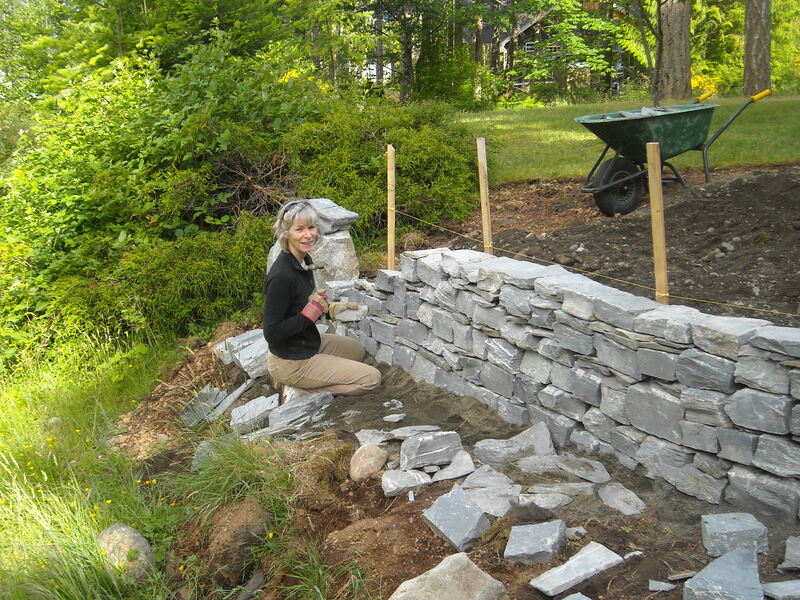 Building dry-stack stone walls is like building crime novels. Dreaming the idea, ground prep, sweat and toil, editing for balance, whimsical pieces to fill in the nooks. Plain blind bone-tired but satisfied at the end of the day. Sometimes a happy ending. I’m grateful to be able to keep working at both.